​Comcast Spectacor, owner of the Philadelphia Fusion, announced its intention Monday to build an esports arena for the franchise that will reportedly cost $50 million to build. 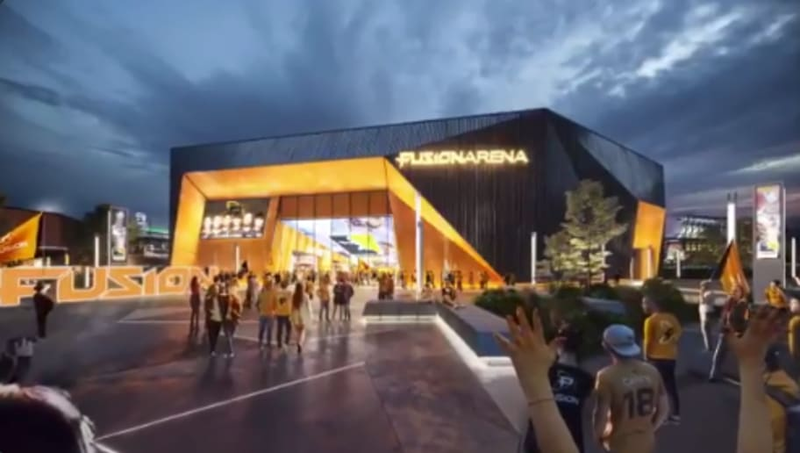 ​​Aptly titled the Fusion Arena, Comcast Spectacor ​reportedly plans to build the esports stadium in the heart of the city between the Wells Fargo Center, Lincoln Financial Field and Citizens Bank Park. The arena will seat 3,500 attendees and will serve as home field for the ​Overwatch team. According to The Philadelphia Inquirer, Comcast Spectacor also plans to host about 120 events per year in the arena, including electronic dance music and K-pop concerts. Comcast Spectacor is also looking to sell naming rights to the arena. ​Philadelphia Fusion finished second in the Overwatch League inaugural season, losing out to the ​London Spitfire in the finals at the Barclays Center. The team was eliminated over the weekend in the Stage 1 semifinals by the San Francisco Shock. The arena does not have an opening day set.